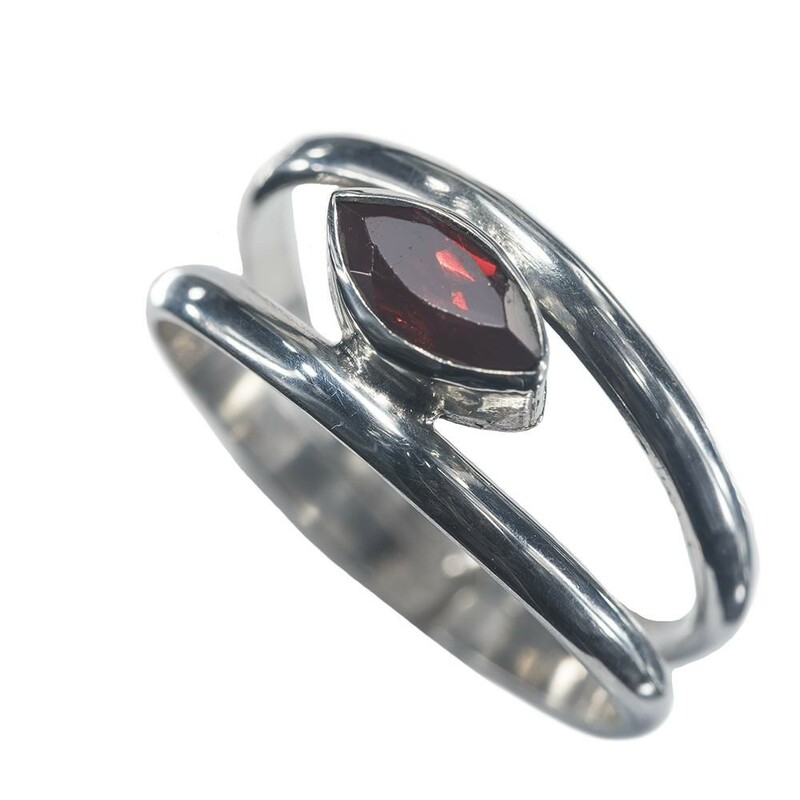 Beautiful ring featuring a faceted, marquis shaped Garnet/Amethyst gemstone mounted atop this stone ring stands true to its name as Minimalist Double Band Garnet/Amethyst Ring. Both garnet and amethyst carry special qualities for the wearer. Showcasing the dual metallic look, this unique j... Read more. Beautiful ring featuring a faceted, marquis shaped Garnet/Amethyst gemstone mounted atop this stone ring stands true to its name as Minimalist Double Band Garnet/Amethyst Ring. Both garnet and amethyst carry special qualities for the wearer. Showcasing the dual metallic look, this unique jewelry design aptly adorns the fingers of gorgeous women in love with artisan jewelry.